Apple is rumored to launch three different 2018 iPhone X smartphones this year. All three will come with different screen sizes. There will be a 5.8 inch OLED iPhone X, a 6.1 inch LCD iPhone X and a 6.5 inch OLED iPhone X. Now we have a video which shows three dummy units for this years handsets side by side, this gives us an idea of how the three handsets will compare in terms of size. 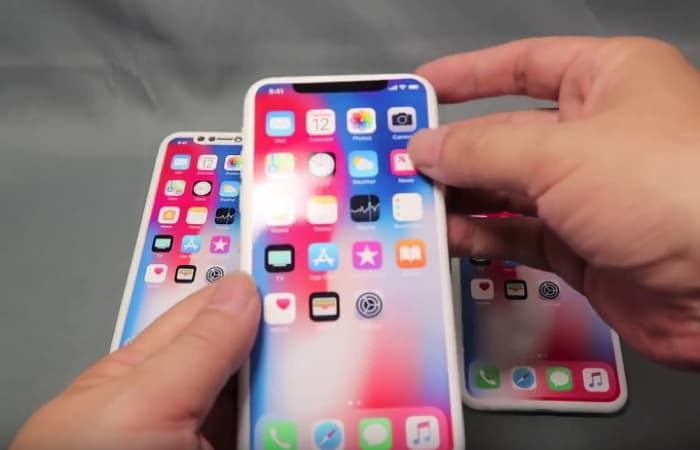 The iPhones pictured in the video are 3D printed mock ups of what the new handsets are expected to look like, these are based on what we have heard previously about the handsets. The design of this years devices is expected to be similar to that of the existing iPhone X. We are expecting Apple to launch their three new iPhones some time in September or October, the handsets will come with Apple’s iOS 12 software. As soon as we get some more details about the handsets we will let you guys know.